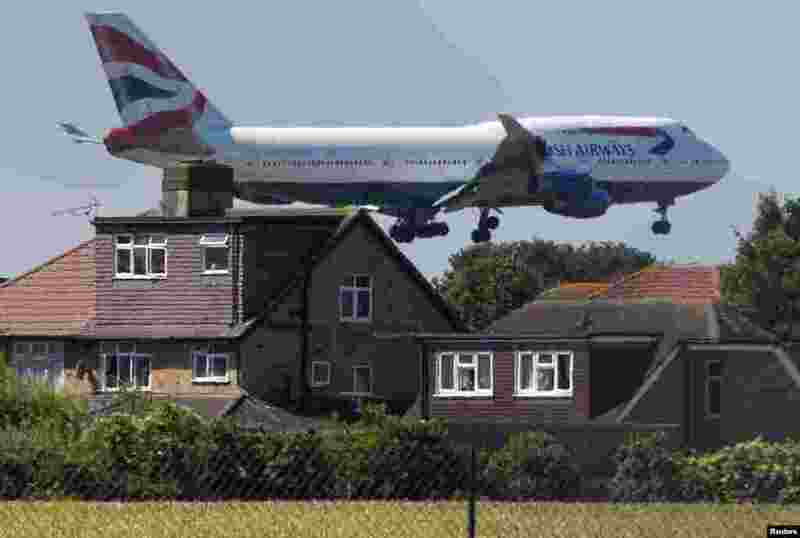 1 A British Airways Boeing 747 is about to land at Heathrow airport in London. 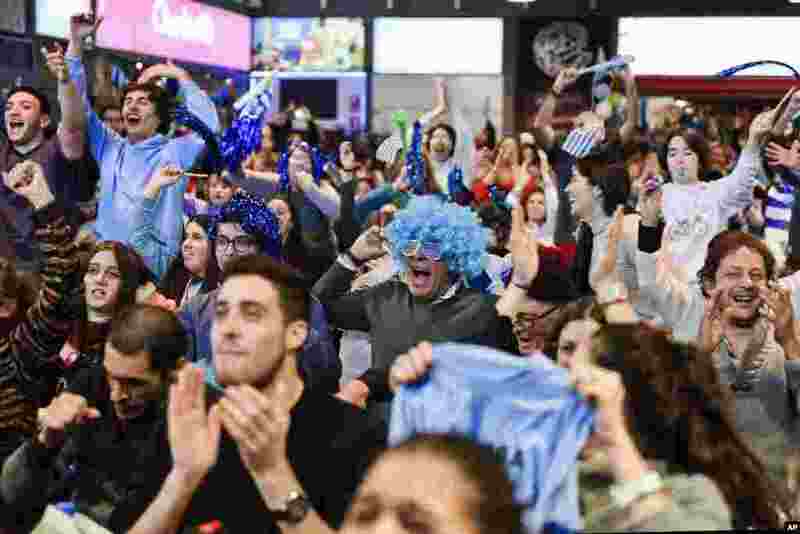 2 Fans of Uruguay's soccer team celebrate their team's 3-0 victory over Russia, after watching the Russia 2018 World Cup match via live broadcast in downtown Montevideo, Uruguay. 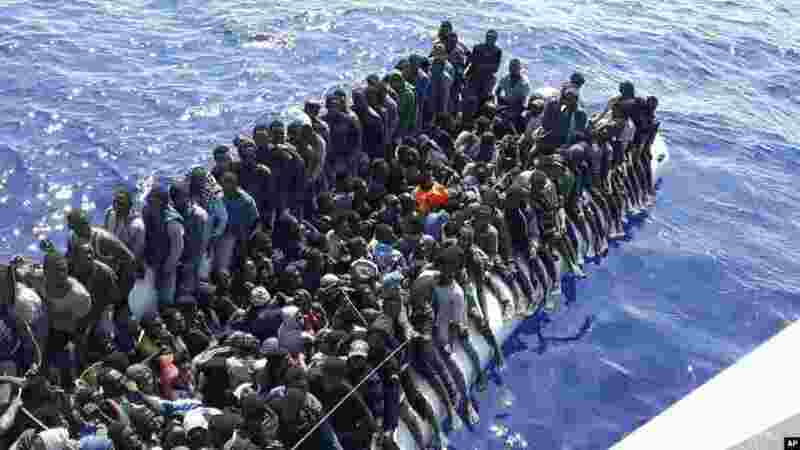 3 This photo released on June 24, 2018, by the Libyan Coast Guard shows migrants on a ship intercepted offshore near the town of Gohneima, east of the capital, Tripoli. 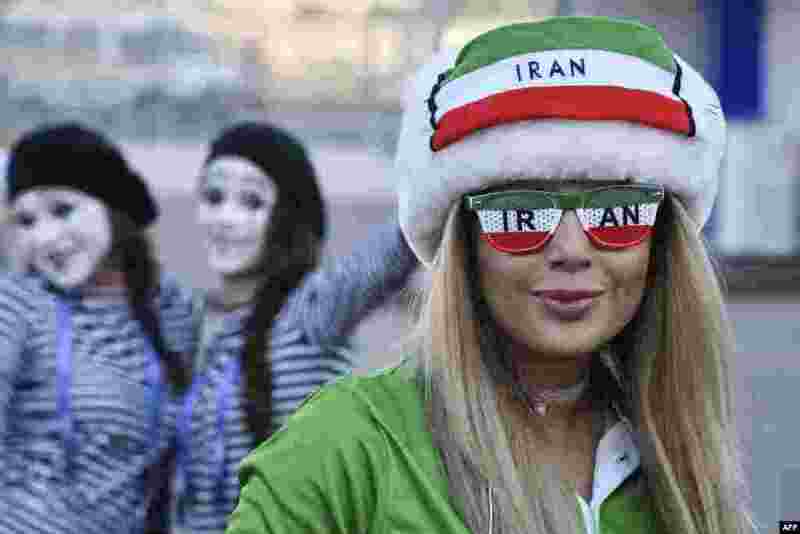 4 An Iranian fan poses outside the Mordovia Arena prior to the Russia 2018 World Cup Group B football match between Iran and Portugal in Saransk.